Furniture pieces passed down from one generation to the next are loyal guardians of family history and traditions, so their sentimental value usually goes far beyond any monetary worth. Nevertheless, the market price of antique furniture is also very high as it is rare and unique, a solid evidence of the superb craftsmanship of old. But even though the exquisite old pieces can successfully withstand the test of time, the long years of constant wear and tear eventually leave their mark on the delicate surfaces. Oftentimes, expert repair works are required to rescue an antique piece – in this case, it should be handled with great care and adept skills in order to restore its original beauty without losing its ancient look and feel. Inadequate restoration and repair can drastically affect the value of an antique – advanced equipment and modern refinishing techniques easily erase the marks of time sealed on the surface, but they may as easily ruin the grain of the wood as well. Furniture Medic by Bob Llorente provides antique furniture refinishing and restoration services in Friendswood, TX to repair broken or worn out antique furniture, using only simple tools and harmless chemicals. Our highly trained and experienced craftsmen have adopted a skillful individual approach towards each and every furniture piece appropriate for its particular condition and the desired outcome of the restoration process. According to the National Free Trade Act of 1993, a piece of furniture is considered to be an antique when it is 100 years old (or older). However, if it has experienced a change in its original character of more than 50 percent, the piece will no longer be considered an antique. The knowledgeable craftsmen of Furniture Medic by Bob Llorente understand the criteria for antique furniture perfectly well and make every effort to preserve the original character of antique pieces when repairing and refinishing them. We use highly efficient, yet minimally invasive techniques that result in the complete restoration of damaged old furniture without affecting its value and status as an antique. 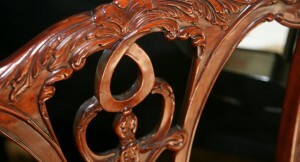 Restoration/ Refinishing – finally, we refinish worn out or discolored antique furniture to restore its original luster. As a result, the antique piece is fully repaired and restored to its best possible appearance and sturdiness. At Furniture Medic by Bob Llorente we can effectively restore and repair all types of antique furniture pieces while preserving their value and status as antiques. Our renowned craftsmen are said to work miracles in terms of literally turning back time for your antique pieces with the help of proven yet minimally invasive restoration techniques. You can contact us at (409) 356-4553 to learn more about our antique furniture repair and restoration services in Friendswood, TX, and the nearby regions.